"In this project—which is being shown during the DemoFest portion of Faculty Summit 2013, which brings more than 400 academic researchers to Microsoft headquarters to share insight into impactful research—the hand tracking leads to a process of 3-D motion-trajectory alignment and matching for individual words in sign language. The words are generated via hand tracking by theKinect for Windows software and then normalized, and matching scores are computed to identify the most relevant candidates when a signed word is analyzed. The algorithm for this 3-D trajectory matching, in turn, has enabled the construction of a system for sign-language recognition and translation, consisting of two modes. The first, Translation Mode, translates sign language into text or speech. The technology currently supports American sign language but has potential for all varieties of sign language." Executive planning, the ability to direct and sustain attention, language and several types of memory may be compromised by conditions such as stroke, traumatic brain injury, cancer, autism, cerebral palsy and Alzheimer's disease. No medical devices are currently available to help restore these cognitive functions. Recent findings about the neurophysiology of these conditions in humans coupled with progress in engineering devices to treat refractory neurological conditions imply that the time has arrived to consider the design and evaluation of a new class of devices. Like their neuromotor counterparts, neurocognitive prostheses might sense or modulate neural function in a non-invasive manner or by means of implanted electrodes. In order to paint a vision for future device development, it is essential to first review what can be achieved using behavioral and external modulatory techniques. While non-invasive approaches might strengthen a patient's remaining intact cognitive abilities, neurocognitive prosthetics comprised of direct brain-computer interfaces could in theory physically reconstitute and augment the substrate of cognition itself. Supplementary to matter and energy, information is the third essence for modeling the natural world. 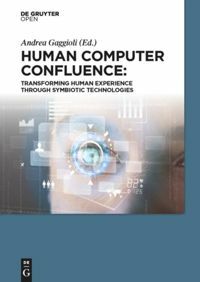 An emerging discipline known as cognitive informatics (CI) is developed recently that forms a profound interdisciplinary study of cognitive and information sciences, and tackles the common root problems sharing by informatics, computing, software engineering, artificial intelligence, cognitive science, neuropsychology, philosophy, linguistics, and life science. CI focuses on internal information processing mechanisms and the natural intelligence of the brain. This paper describes the historical development of informatics from the classical information theory and contemporary informatics, to CI. The domain of CI, and its interdisciplinary nature are explored. Foundations of CI, particularly the brain versus the mind, the acquired life functions versus the inherited ones, and generic relationships between information, matter, and energy are investigated. The potential engineering applications of CI and perspectives on future research are discussed. It is expected that the investigation into CI will result in fundamental findings towards the development of next generation IT and software technologies, and new architectures of computing systems.